Katherine L. Sylvia – Resource Concepts, Inc. Evaluating project water demand to ensure adequate resources are available for new projects. Consulting with clients, including water utilities, to determine water demands for “will-serve” commitments or dedication in favor of domestic wells. Drafting supporting maps for irrigation, municipal, mining, commercial, and environmental projects. Planning water rights strategies and developing systems of projecting target-meter readings to prove beneficial use. Preparing and recording water rights deeds, legal descriptions, and exhibit maps. Preparing chains of title and reports of conveyance filed with State Engineer. 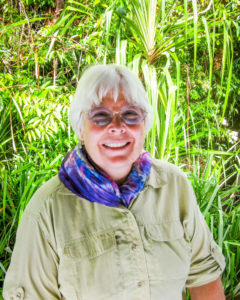 Kathy enjoys hiking, gardening, travel and camping. She is on the Board (Treasurer) of Friends of Silver Saddle Ranch, a local non-profit organization dedicated to the preservation of an historic Carson City ranch. Favorite Quote: Be the change you want to see in the world.